The Chaville is a professional quality, solid wood accordion. Its super compact size makes it as lightweight as its top-of-the-range diatonic counterparts. 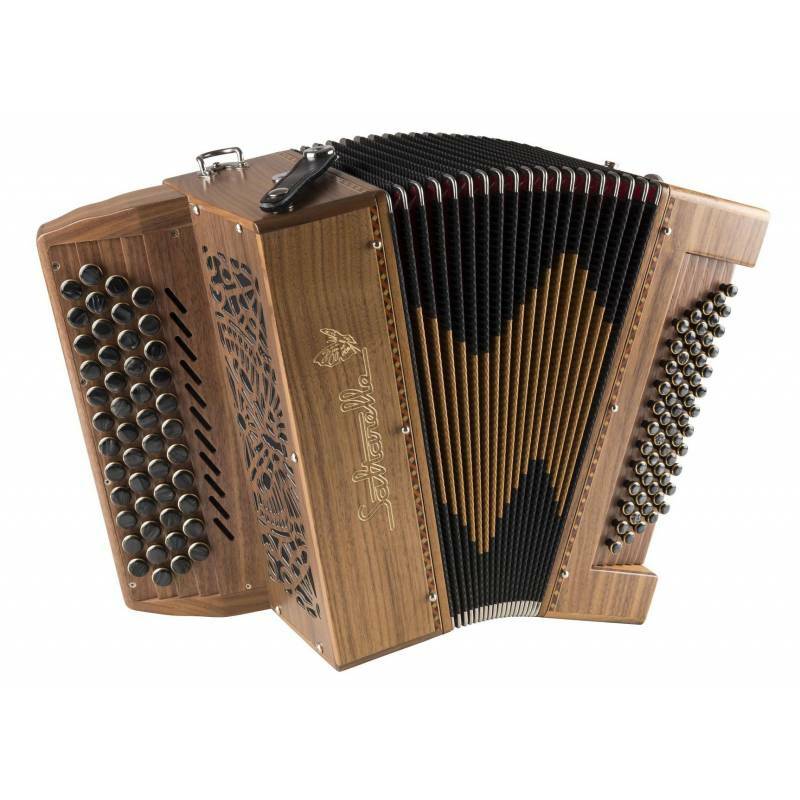 Saltarelle's signature style and sound featured in a small chromatic accordion. Its handmade reeds give it an exceptional level of responsiveness. 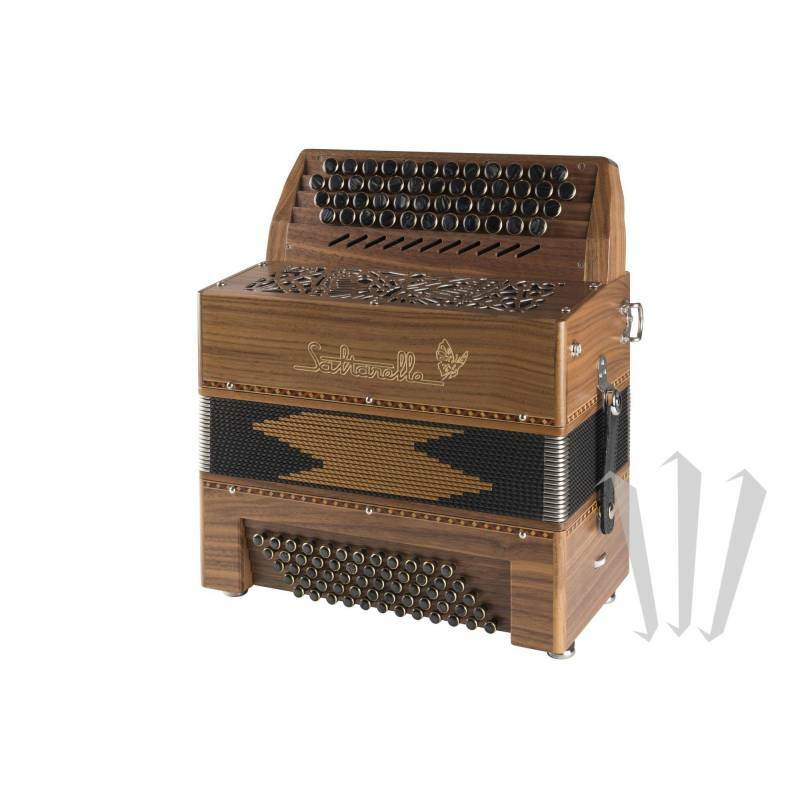 The Chaville has 2 concertina voices on the right-hand in its standard version, but can also be crafted as a bandoneon version (concertina + bassoon).